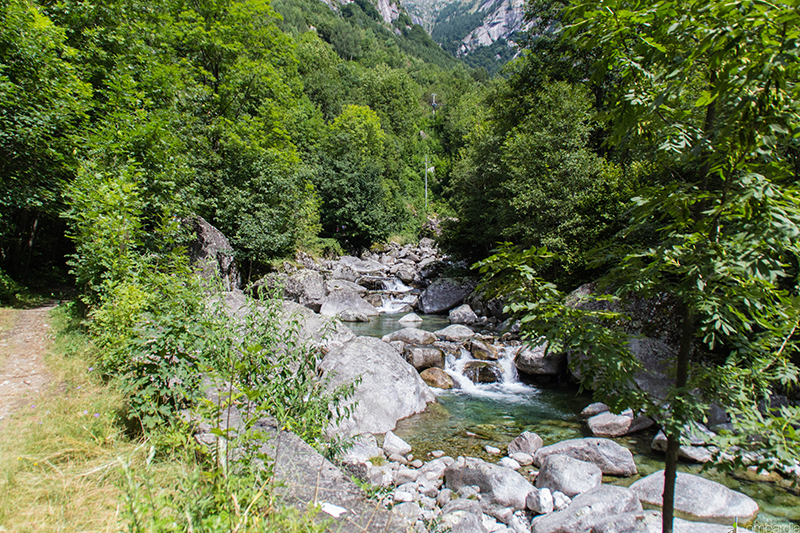 Mello Valley is in San Martino Val Masino a small mountain town near Sondrio. 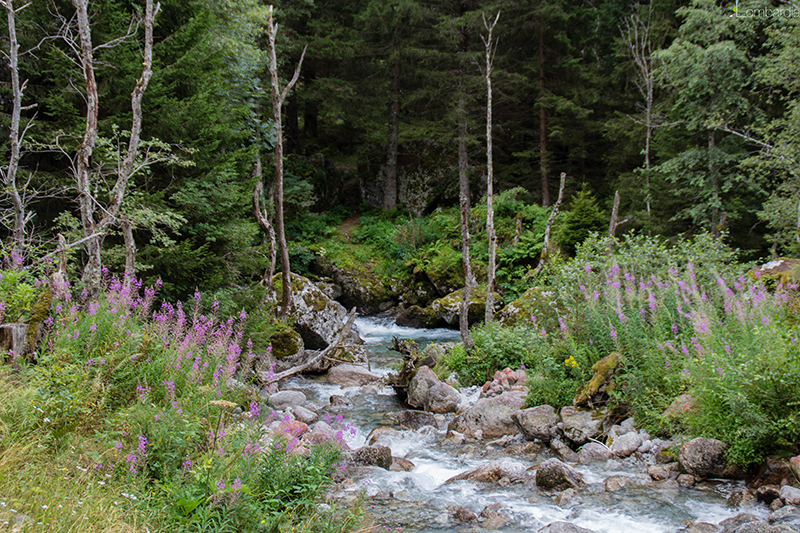 Starting from San Martino you can arrive to the amazing Val di Mello nature reserve, this small valley is famous for its colurs and its mountain landscape. You can arrive to the reserve by bus or walking through the path. Just arrived in the valley you are in a place with various natural elements, with different colours such as the grey of the mountains, the green-azure of the Mello creek until the yellow and green of the pastures. Following the creek we can find some small lakes and waterfalls. 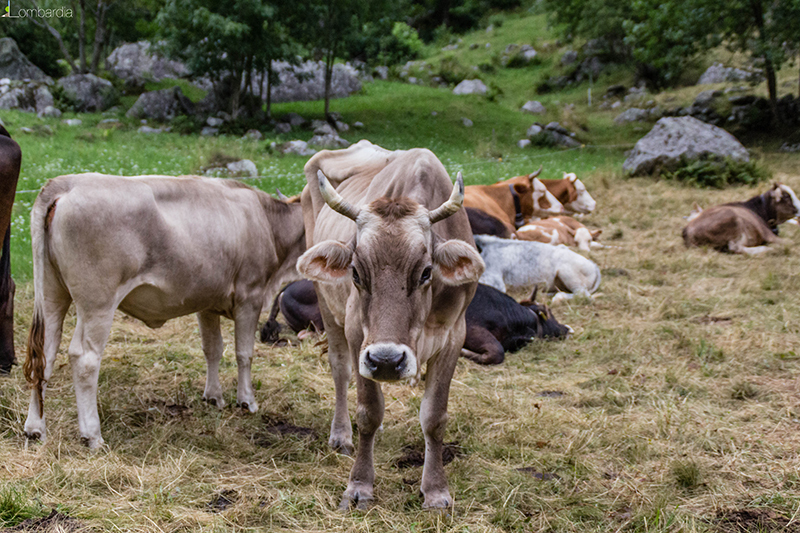 Arround the creek pastures rich of coloured flowers, in which, during the summer you can seen many cows, the most popular races is the Bruna Alpina. On the landscape background there is the Monte Disgrazia and others mountains. The valley is also famous for climbing, in the area there are several natural walls for climbing. Every year a lot of tourists come to Mello Valley to practise climbing, unfortunately someone die in this place. Along the path you can pass ner some stone houses in which you can eat some famous typical foods of the area. Mello Valley is a famous place so, expecially in the weekend a lot of people visit the area trasforming a insulated valley in a very crowded place in which is very difficult find a free parking. We suggest you to visit Mello valley during the week.